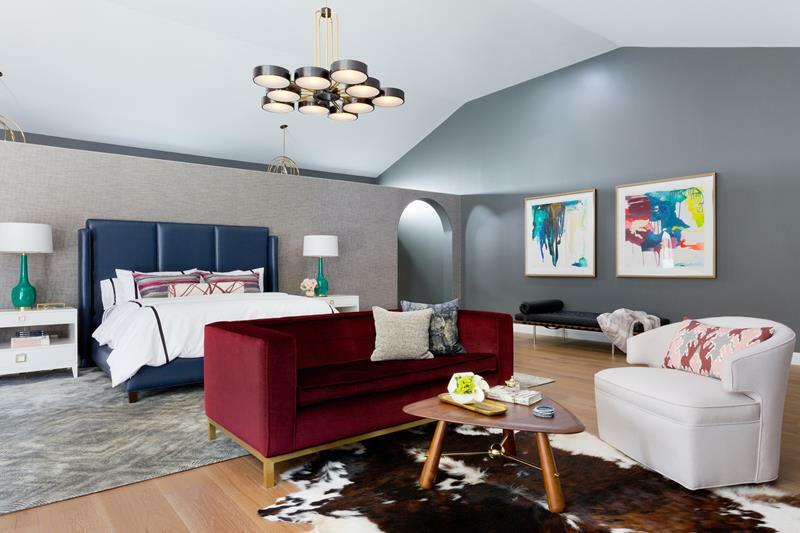 Few things are as important as personal space, and even in your home, there isn’t much in the way of space that is truly yours, except the master bedroom. Despite this truth, many people don’t spend nearly enough time considering how to design this room. That’s a shame, because a master bedroom along with its connection to the master bathroom and walk-in closet are aching for personalized touches. The easiest way to beautifully design your master bedroom is around a view, so if you have a window or a balcony with a great view, orient all the furnishings so that you can take in the view no matter if you are lying in bed or relaxing in a comfortable chair. Another great way to take advantage of the view is by painting the room a color that frames the view. Whether it’s a landscape or urban view, there are plenty of options here. The 15 photos that you see below are fantastic ways that you can create your own personal oasis of a master bedroom. We’re confident that you’ll love these designs and love translating them to your master bedroom. Simply stunning, this black and white bedroom looks so clean and organized. Black shades let you sleep past dawn, handy storage and open shelving for pretty things. Light floor that doesn’t compete with your style. This master bedroom with attached suite lets you relax even when you’re not ready for bed. Chill in the stuffed chair, the couch or the lounger. When you’re ready for bed, the soothing blue leather awaits. 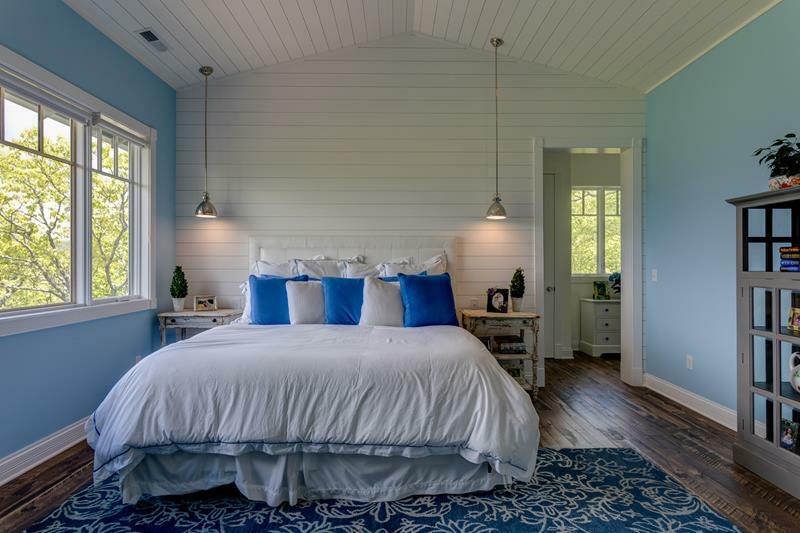 Soothing blue walls, area rug and pillows make this master bedroom oh-so-relaxing. Keeping it simple with nightstands and a display cabinet cuts the clutter. Those gorgeous pendant lights make for some light reading before you drift off to sleep. 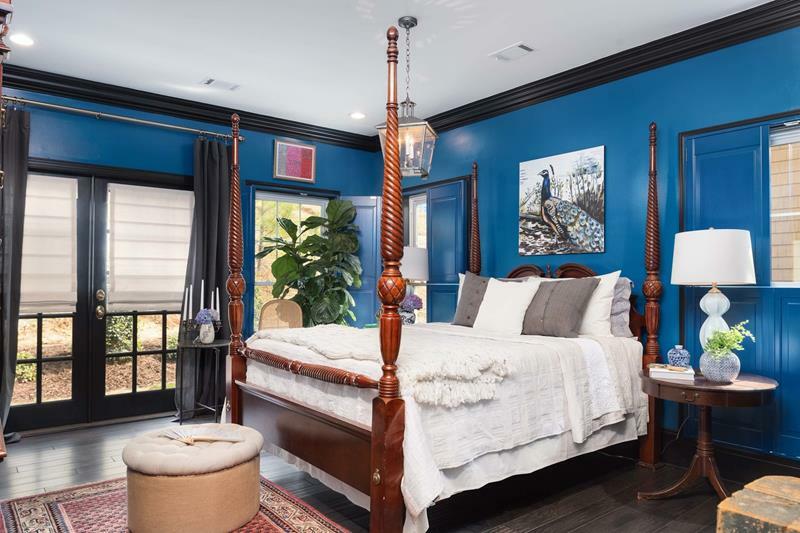 These gorgeous blue walls, together with the black crown molding and curtains pull this master together for relaxed perfection. The four-poster bed and wood floor add a bit of a rustic feel, don’t you think? This master bedroom feels like resort living. From the beautiful view through the glass doors, to the elegant accessories, you’ll want to spend all your time here. Relax in or out in comfy chairs, and sleep is just steps away when you’re ready.